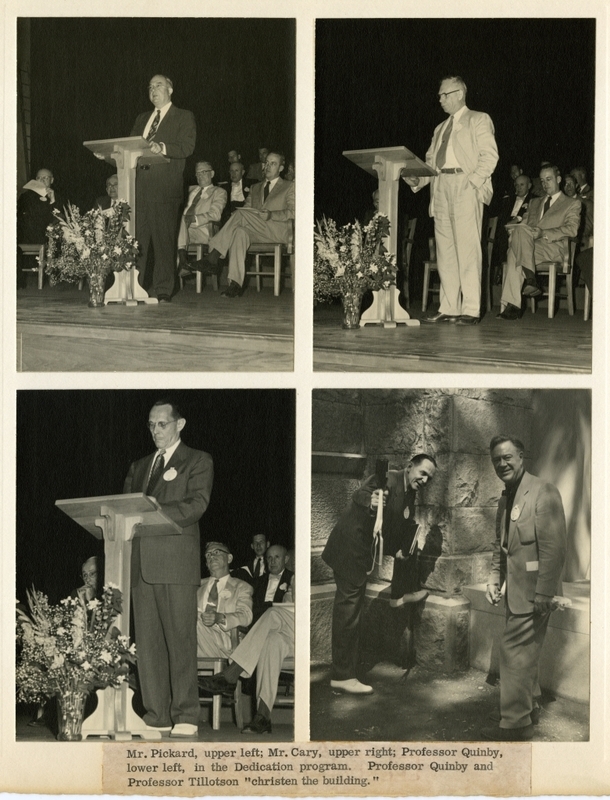 Four images mounted on one page, from the dedication of Pickard Theater. Upper left, John C. Pickard; upper right, Charles A. Cary; lower left, Professor George H. Quinby; and lower right, Professor Quinby and Professor Frederic E. T. Tillotson "christening" the building. Duplicate of image is in a photo album of Pickard Theater, Memorial Hall, in the College Buildings Subject Files, catalog #1.13.1.